OK, this is hilarious. 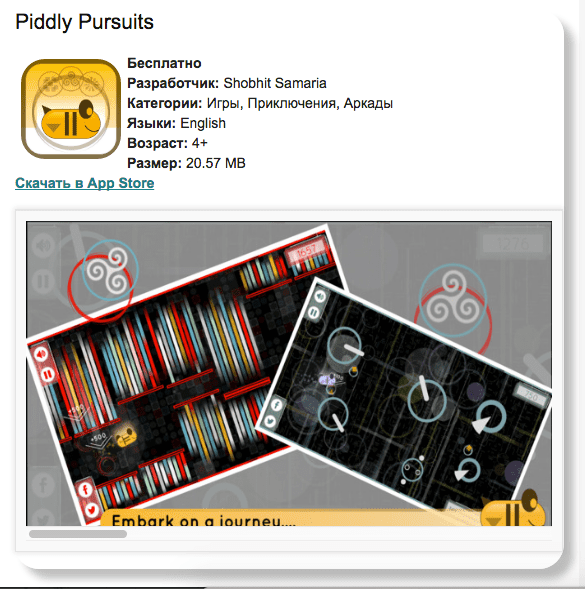 So as usual, I was goofing around on the internet today and just out of nowhere, I decided to do a google search for one of my games – ‘Piddly Pursuits’. Thank You iosgames.ru! You guys are wonderful and I hope you get to read this! Wish you all the best. This may not count as much, but I guess it teaches me to be bit more aware of the information spread across the internet about my games. As indie game developers, there is very little budget and opportunities for marketing, so such features should be made full use of, especially at the time of release.